Menu Position: There are 2 options: Above site title/description or Below site title/description. Select the one better suits your website. Header Image: The banner image can be selected from this area, where you can upload your own image and select the height of the image. Excerpt length – Enter the maximum number of words you would like for the post excerpt. 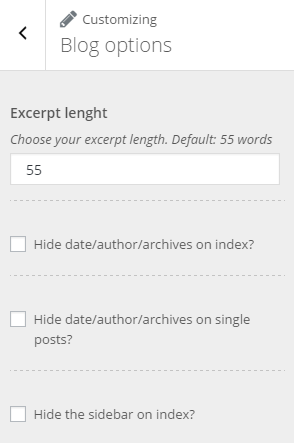 In this section you also have the option to hide the post meta data such as date, author, category from view. Body fonts: Use this section to add Google fonts to the theme for body text. Font name/style/sets – Add the Google font along with it’s variant to this section example: Raleway:400. -> Font family – Add the font family for the font. Google fonts should be enclosed in single quotes example: ‘Raleway’. Heading fonts – Use this section to add Google fonts to the theme for heading text. -> Font name/style/sets – Add the Google font along with it’s variant to this section example: Titillium+Web:400italic. -> Font family – Add the font family for the font. Google fonts should be enclosed in single quotes example: ‘Titillium Web’. Font Sizes – Use these options to set the size for the site title and description as well as override the sizes of the default heading tags and body font size. Colors – Use this section to edit the different colors on your website. This section gives you full control over the color scheme of your website. 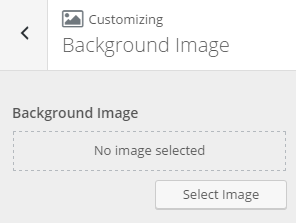 Background Image – Add your own background image by clicking on the Select Image button. 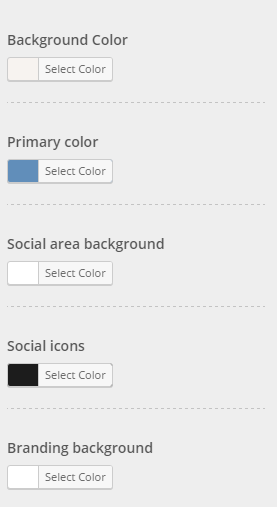 Menus – Amadeus supports two menus, a top menu where you may add social icons and a main menu which slides in from the right. 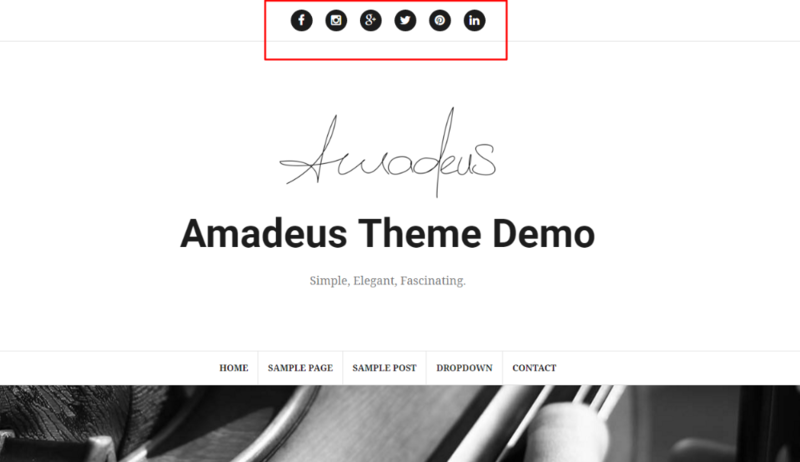 Widgets – Amadeus supports widgets in 4 different sections: Sidebar, Footer left, Footer center and Footer right. From every section you can add widgets by clicking “Add a Widget”. 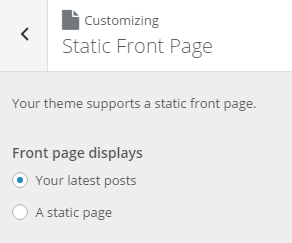 Front Page – Amadeus supports both a latest posts front page as well as a static page which you could create in Dashboard -> Pages. 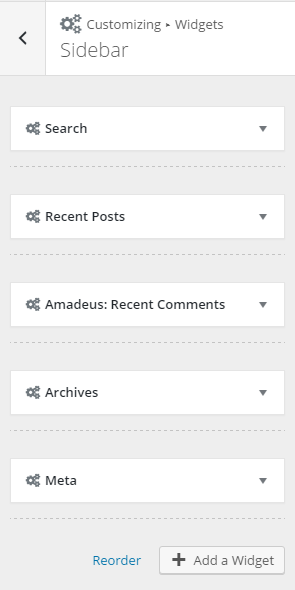 In order to have a social menu on Amadeus theme there are certain steps you will need to follow. 1. Go to Appearance->Menus->Add a Menu. 2. 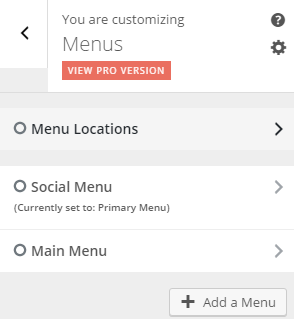 Once the menu is created, select the Menu locations to Social. After this select the Add Items button and select Custom Links. In the URL box add the URL to your social media choice. For example, in the URL box you can add your Facebook page link and in the Link Text you can add the name of your Facebook page or just Facebook. 3. After you add the Custom Link to menu, the social icon will appear on your Menu.